Apple’s iPhone 4S has now officially launched in 22 more countries. Apple began taking pre-orders last week ahead of the retail launch for those, mostly European, countries that missed out on the first-round release. The new countries to receive the iPhone 4S include: Austria, Belgium, Czech Republic, Denmark, Estonia, Finland, Hungary, Ireland, Italy, Latvia, Liechtenstein, Lithuania, Luxembourg, Mexico, Netherlands, Norway, Singapore, Slovakia, Slovenia, Spain, Sweden and Switzerland. 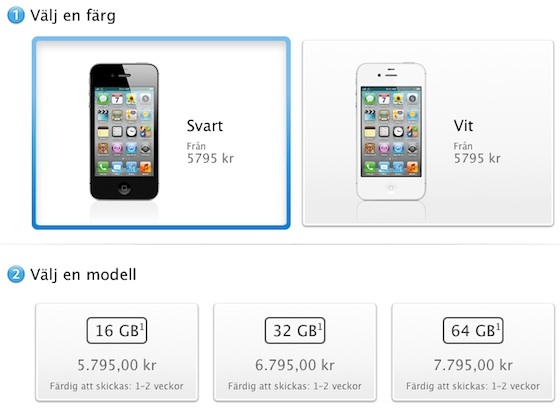 Currently, shipping estimates of 1-2 weeks exist for the iPhone 4S across all countries. Demand for the new smartphone has been high, with Apple making record sales around the world.